Dr. Jon Bjornson, 85, of Philadelphia, a Vietnam War veteran and psychiatrist who devoted his life to counseling war veterans and promoting peace, died Sunday, July 29, of renal failure at Chestnut Hill Hospital, where he was in hospice care. 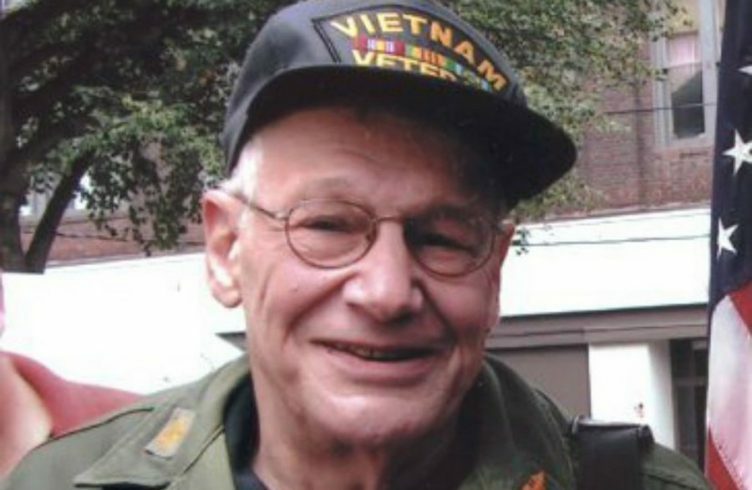 Dr. Bjornson served as a U.S. Army flight surgeon and psychiatrist in Vietnam for a year before he was honorably discharged in 1965 with the rank of major. He was so profoundly affected by his experiences that he shaped the rest of his life around counseling GIs, speaking out against the war, and raising awareness of post-traumatic stress disorder (PTSD). He sat on two national panels to determine the cause and treatment of the disorder. In March 1971, Dr. Bjornson organized a conference at the University of Pennsylvania called “We Accuse,” a makeshift war-crimes hearing with testimony provided by soldiers who in some cases had committed the atrocities. The meeting highlighted the need for increased counseling services, educational opportunities, and drug and alcohol programs to treat the ongoing effects of war on veterans. Dr. Bjornson was especially worried about returning American POWs and the adjustments they faced after years spent in Vietcong prison camps. “They will be returning to a divided nation,” he told the Daily News in 1973. “This war has been the subject of so much controversy that they will be heroes in half the people’s eyes and traitors in the eyes of the other half. Dr. Bjornson correctly predicted that some Vietnam veterans would end up homeless or in prison. Determined to reach some of those veterans, Dr. Bjornson began a PTSD therapy group at the State Correctional Institution at Graterford and ran it as a volunteer for decades. He was an early advocate of community-based services and peer counseling – of veterans by veterans – as the most effective form of healing. Along with running a private practice in Center City, Dr. Bjornson was the director of the psychiatric unit at Einstein Medical Center and Eugenia Hospital in Lafayette Hill. He was an associate professor at Jefferson Medical College from 1968 to 1985 and retired from Chestnut Hill Hospital as an attending physician in 2004. He was a national authority on PTSD. Stress disorder patients, he told the Daily News in 1980, are still fighting the war within themselves, years after it has ended. “Just learning how to talk about their experiences can be a breakthrough,” he said. They numb themselves to deal with the horrors of combat. When the numbness wears off, they may experience flashbacks and nightmares, and may be unable to show warmth or tenderness, or respond to it. In the mid-2000s, when veterans from the war in Iraq began experiencing problems with PTSD, Dr. Bjornson saw parallels with the Vietnam War. Born in Orange, N.J., to Bjorn Bjornson of Iceland and Gladys Ochs of Tennessee, Dr. Bjornson graduated from Sanford School in Hockessin, Del., in 1950, from Syracuse University in 1954, and from Syracuse Medical School in 1958. He married Judy Simpson in June 1958, and the couple lived briefly in Madison, Wis., where he led a community health center. That same year, Dr. Bjornson joined the Army Medical Corps and served stateside before deploying to Vietnam in 1964. Starting in the late 1960s, Dr. Bjornson joined with veterans who shared his opposition to war. He attended and led antiwar rallies for decades, his family said. “My father had a deep sense of right and wrong — he was an activist who stood for peace, equality, and justice,” said his son, also named Jon Bjornson. He volunteered with Vietnam Veterans of America (VVA), Vietnam Veterans Against the War (VVAW), and Veterans for Peace (VFP). “In 2001, he and members of the VVAW put up crosses at the Liberty Bell in honor of the people who had been killed in Iraq,” said his daughter-in-law, Carolyn Bjornson. A photographer, Dr. Bjornson took pictures of Vietnamese children during his deployment. The images were exhibited at Jefferson in 1969. “They were beautiful,” his daughter-in-law said. Later, he photographed his grandchildren at sporting events. He had no interest in material things. He and his wife enjoyed walking their dogs along the Wissahickon Creek and shopping at Weavers Way Co-op in Mount Airy. In addition to his wife, Judy, and son, he is survived by two granddaughters and a grandson. He had two daughters, Noelle and Amy, who died earlier. Memorial donations may be made to Vietnam Veterans Against the War via VVAW.org.